Wonderful post, Patty. I've praying that I'd be better at obeying and not dallying, and this is PERFECT timing. So glad to hear, Cat. Praying for you today! Beautiful post, Patty! Love the reminder to stay close to God so we are in tune with what He would have us to do. Isn't it amazing that He gives us so many examples from His creation to apply to our lives? We serve a great God, don't we? Blessings to you! 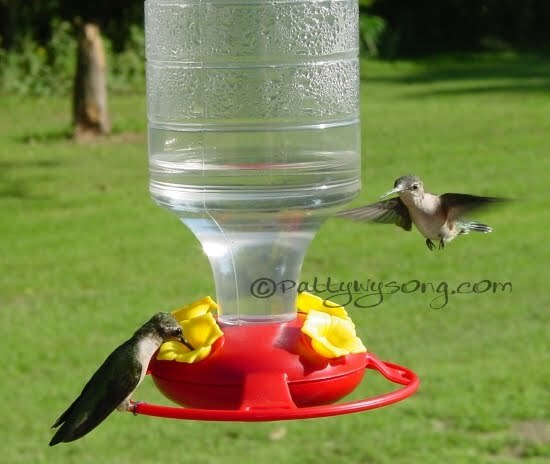 *Did you take the hummingbird pix? Absolutely gorgeous! Absolutely listening for his voice - and stopping that dallying. Great post, dear.